Get $400 OFF any combination of a 3 Piece BladeLight Kit! These new FloLight BladeLights are available in Daylight, Tungsten, or Green Screen, and in either an 18" or 36". Your kit will also include Free Shipping (within the US), a FREE Set of Light Stands, Soft Carry Cases, Power Supplies, and a number of BladeLight accessories. This is the largest discount ever provided for the BladeLight since it's recent announcement. And if you set yourself up with a small 18" kit, it's pretty close to Buying 2 lights and getting 1 Free Bladelight type of offer. But here's the catch! They've allowed me to offer this deal, but only to 4 people (and limit 1 kit per customer). Because of this limit, i'll be sending out the 4 coupon codes through my Exclusive Deals newsletter sometime next week. The first 4 people to use the coupon codes, gets the deal! 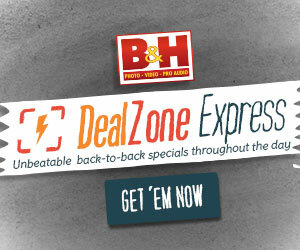 Posted in dslr video, Exclusive Deals. Tags: bladelight, cob led, flolight, fresnel led, LED lighting on April 7, 2016 by Cheesycam.